So, you are interested in Real Estate? Well, I want to help! 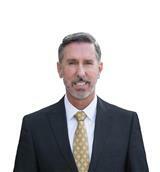 My name is Ed Gardner, Owner/Broker of Ocean Gate Realty, one of Portland's favorite boutique real estate companies. With over 30 years of real estate experience, in every category of real estate (sales, development, management, investment), I can help you navigate you to your new home or professionally market and sell your current one. I think that you will appreciate my vast knowledge of the Greater Portland real estate housing market and my commitment to excellent service! From the home search, through the entire transaction and to closing, you can bet that me and my team will strive to make your purchase or sale, a well represented one. I have had the pleasure of being the president of the Greater Portland Board of REALTORS in 2014, as State REALTOR of the Year in 2014, and the president of the Maine Association of REALTORS in 2016. My hard work as a civic volunteer in many organizations, has given me the knowledge of our great city. My commitment to this industry is second to none and I hope to share my expertise with you. Please contact me today to see how I can help to buy or sell your greatest investment!